Summer is a great time to experiment with salad ingredients, especially in-season fruit and fresh cheese from the farmers market, to create some surprisingly flavorful combinations. 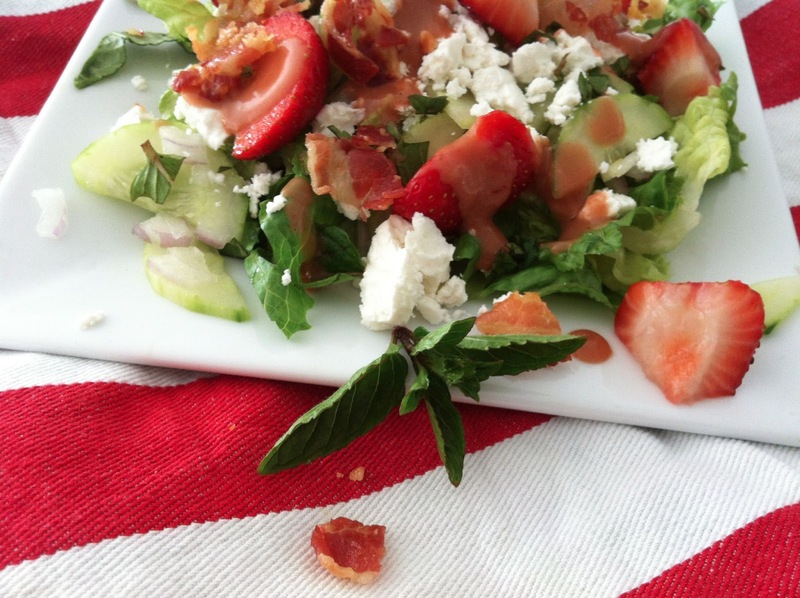 This Strawberry, Feta and Pancetta Salad with Roasted Strawberry and Balsamic Dressing is light, yet satisfying. Each bite is packed with tasty textures and flavors - crunchy and cool lettuce and cucumber, red onion, mint, and bits of salty feta, pancetta and juicy strawberries. Some years ago, I discovered the magic of strawberries and balsamic, which enhances the berry's fruitiness, and goes well with traditional salad ingredients. Made with a good quality balsamic vinegar and roasted strawberries, the dressing takes this Mediterranean-style salad to another dimension. 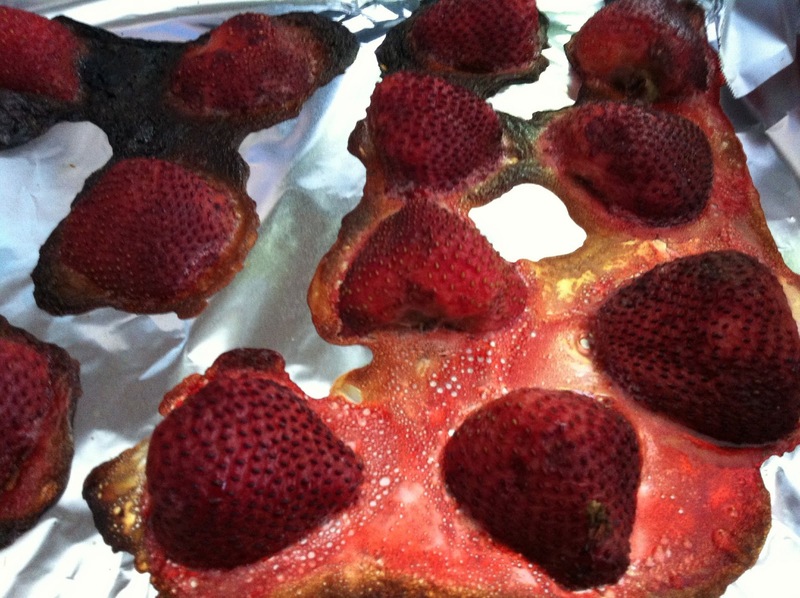 Wash, dry, hull and cut strawberries. Roast in a 400 degree oven for 15 minutes. 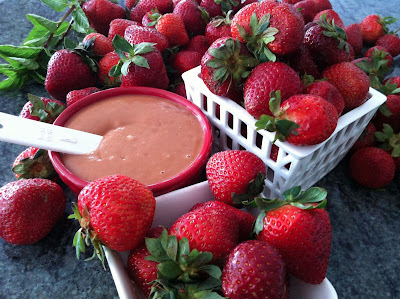 In a blender, puree roasted strawberries and vinegar until smooth, then slowly drizzle in the olive oil. If emulsion is too thick, slowly add more vinegar and oil in a 1:2 ratio until the desired texture is achieved. Cook pancetta until medium well done, drain on paper towels and chop into small pieces. Clean lettuce and tear or cut into small bite size pieces. Crumble feta cheese. Peel and slice cucumber into thin rounds. Cut the cucumber rounds into halves or thirds. 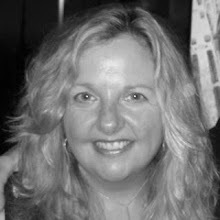 Mince onion. Wash, dry, and hull strawberries and cut into 1/2 inch cubes. Mince mint. Assemble vegetables and mint right before serving. Top with pancetta, feta and strawberries. 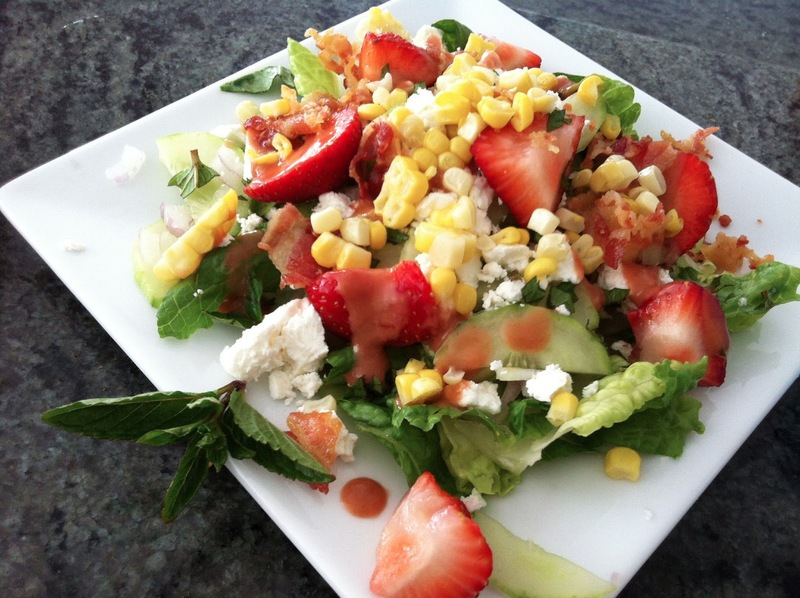 Drizzle a generous amount of roasted strawberry and balsamic dressing.